The EAP video crew spent a full weekend on board the 'Ross Revenge' in July 1984 to capture on tape a full day in the life of Radio Caroline. The video starts with the 6 am sign-on with Dave Richards and includes Stuart Russell, Blake Williams, Jay Jackson, Tom Anderson and Stewart Vincent. This is your chance to see life behind the scenes. A full day on board, from breakfast to Peter Chicago switching off the transmitters at midnight. This video, which has become our best seller and shows life on board Caroline in the 1980s. 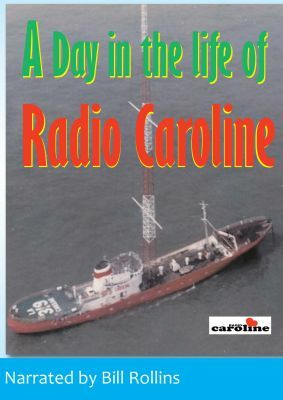 Includes a special interview with Mr. Ronan O'Rahilly, founder of Radio Caroline.